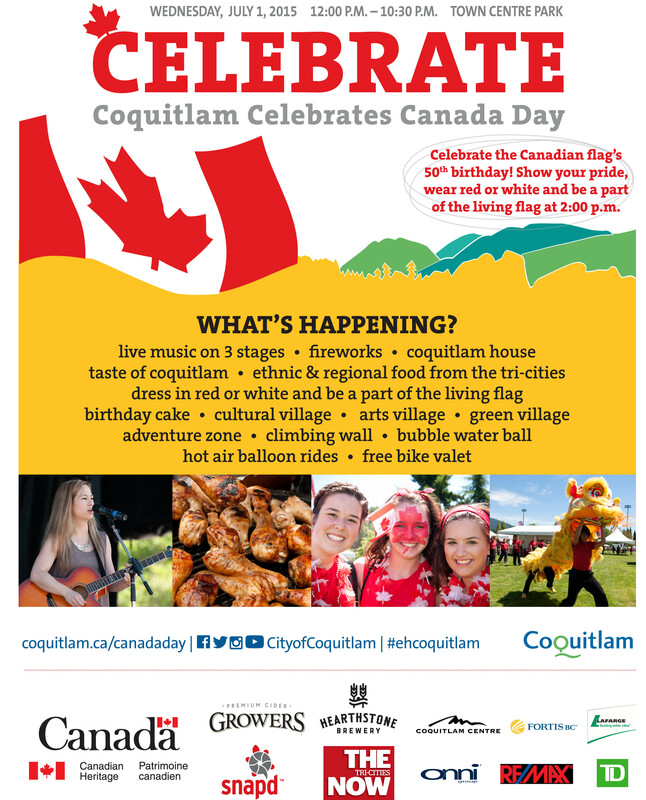 Be a part of the community procession at the City of Coquitlam’s Canada Day Celebration! Join in the festivities (including live music on three stages, fireworks, Taste of Coquitlam, Arts Village, hot air balloon rides, etc.). Have some fun and bring your uke (and friends)! We’ll have a table to give free mini ukulele tutorials to guests in the Arts Village section of the park and more volunteers are always welcome! Help new ukulele players get started. Email events@cutiecircle.com to sign up as a volunteer for the mini-tutorial booth! For the procession, we would like to have everyone meet at the location for 1:45pm. The “maple leaf” (see map below) is where the participants of the living flag will be meeting. They will be wearing red or white to form a giant flag to celebrate the flag’s 50th anniversary. We will be meeting closer to the Grand Boulevard at the #14 for the procession. There will be numbers in chalk on the road/sidewalk area of the staging area. This is where we will meet and gather before the procession begins. 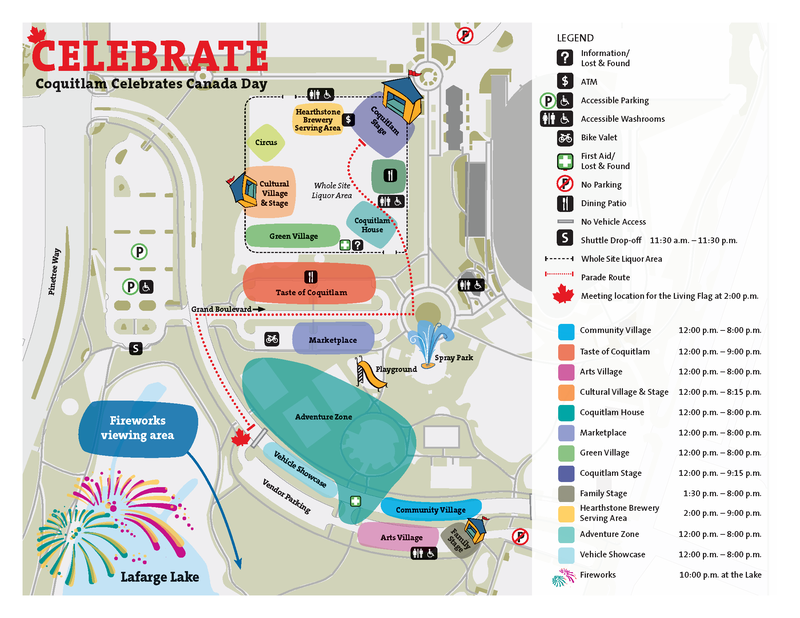 The procession will start at 2:00pm, where we will go through the Canada Day site and end at the Coquitlam Stage. The opening Ceremony will begin at 2:15pm and is expected to be finished at 2:45pm. Let’s strum and sing “O Canada” together and make it the largest Ukulele March on July 1! Here’s the VanUkes’ version of the song. 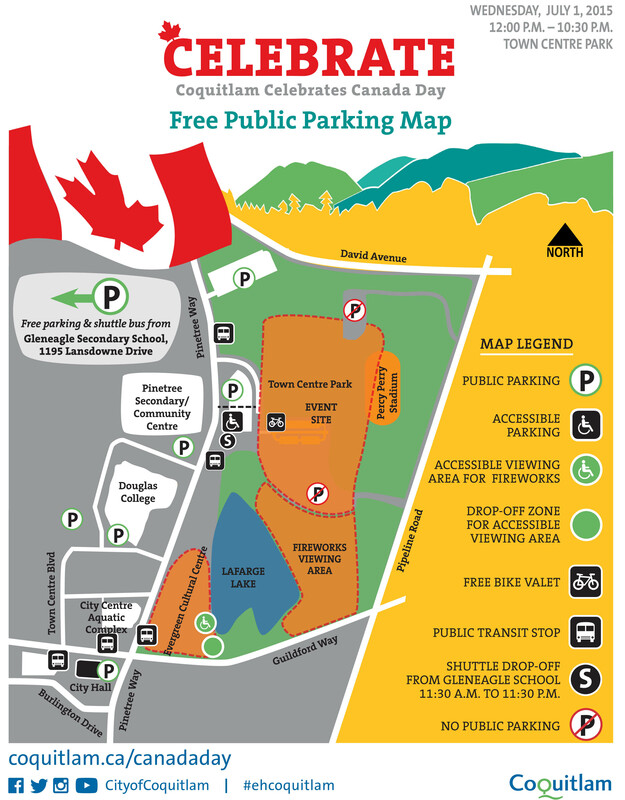 There will be free shuttle buses from 11:30am to 11:30pm from Gleneagle Secondary School. Free public parking will be available (see Free Public Parking Map for more information). Let us know how many are attending the Ukulele March by signing up here. We’ll have flower leis to loan to add to the summer feel. If you need to borrow a uke for the march, just let us know when you sign up! 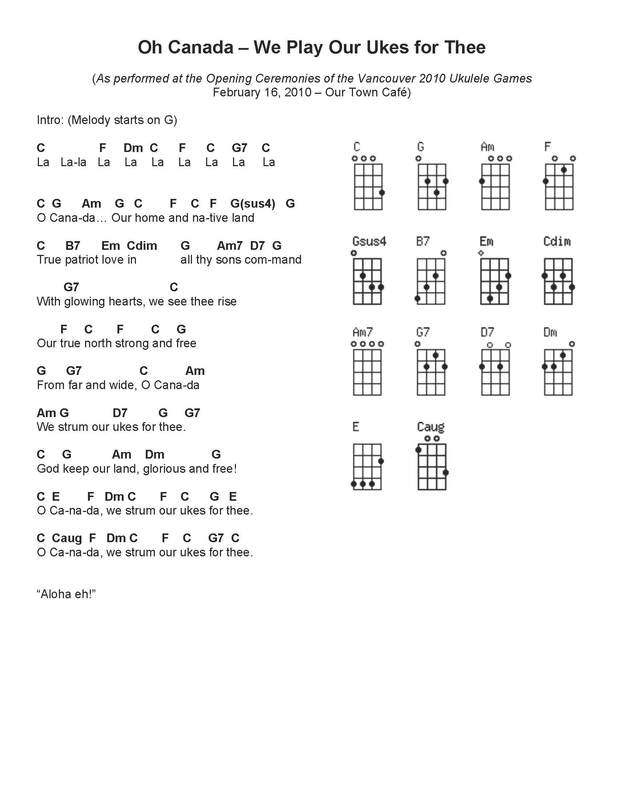 This entry was posted in Events and tagged Canada Day, Coquitlam, Lafarge Lake, March of the Ukulele, March with Your Uke on June 16, 2015 by cutiecircle. The Cutie Circle has found a brand new home! Beginning June 2015, the Cuties will be meeting at the Evergreen Cultural Centre (ECC), just across the street from its first home, the Pinetree Community Centre, in Coquitlam. The new venue is a beautiful facility with good acoustics and offers free parking on Sundays and evenings. This move will give the Cuties a chance to meet even during the summer months (as the nearby venues including the Pinetree Community Centre and Glen Pine Pavillion, are closed on Sundays during the summer). We thank the folks at the ECC for finding us a stable set of dates for the 2015 to 2016 season. We’ll miss the friendly crew at Pinetree for their helpful and enthusiastic service for the past year! We’ll be meeting in the Rehearsal Hall at the Evergreen Cultural Centre. As in the past, we will have free parking on Sundays and evenings. 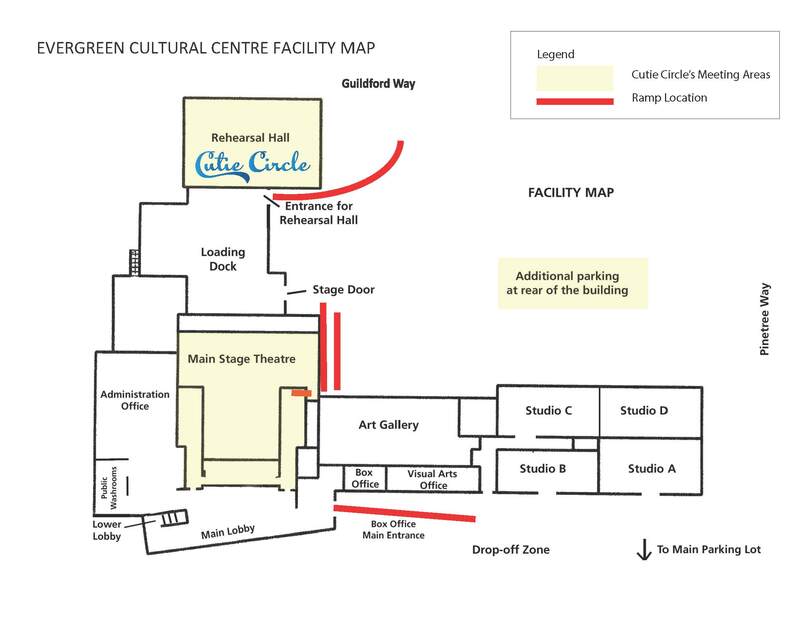 Here is a map of how to find the way to the Evergreen Cultural Centre and the Rehearsal Hall and Studio Theatre. This road map will help guide you to the ECC entrance. With the SkyTrain construction, it is the only way to the back lot. From Hwy# 1 take exit 44 (at Cape Horn) and travel north or Hwy# 7 or 7A. 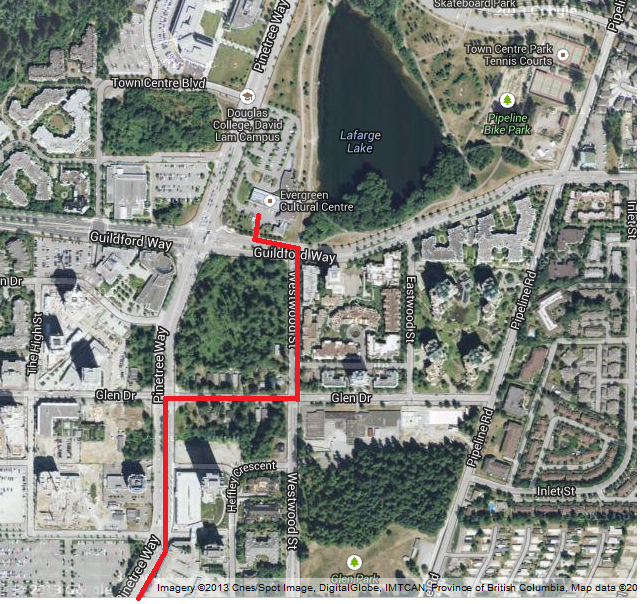 From Barnet Hwy travel east through Port Moody, (along St Johns Street), and Coquitlam (along Barnet Hwy). Turn north (left) on Pinetree Way. The Evergreen Cultural Centre is located on the northeast corner of Guildford and Pinetree Way, four traffic lights north of the Coquitlam Shopping Centre. Access travelling westbound on Guildford Way. Please note there is no vehicle access from the main parking lot or from the eastbound lanes on Guildford Way. This entry was posted in Blog, News and tagged Evergreen Cultural Centre, Facility Map, Find Us, Move, New Location, Rehearsal Hall on June 7, 2015 by cutiecircle.